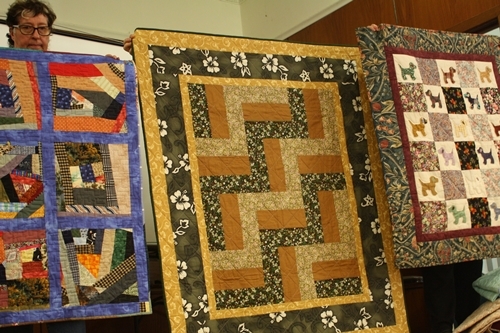 113 members and 6 visitors enjoyed a very relaxed March meeting. 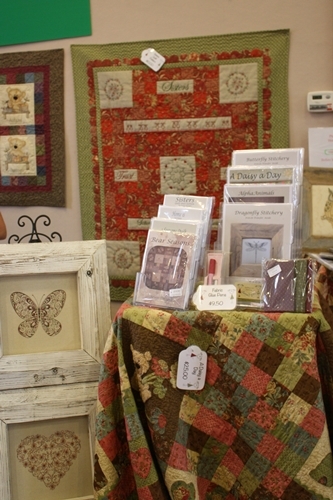 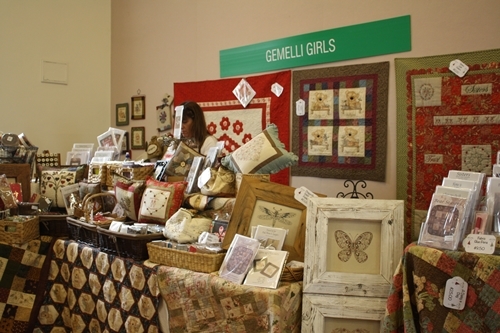 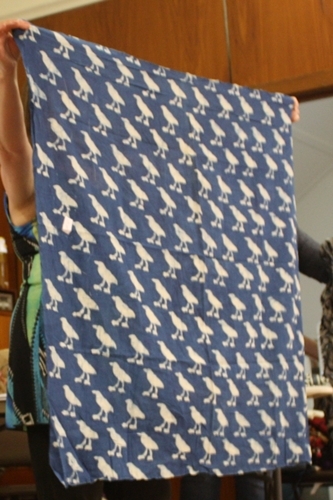 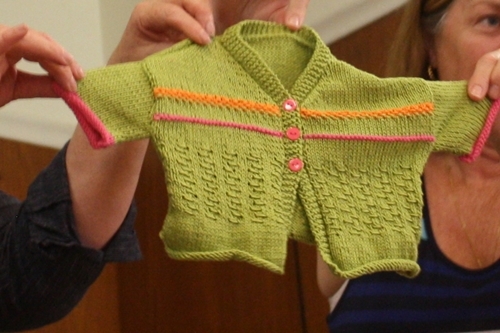 The Gemelli Girls provided the shop and they brought a wonderful range of patterns, fabrics, samples and assorted items. 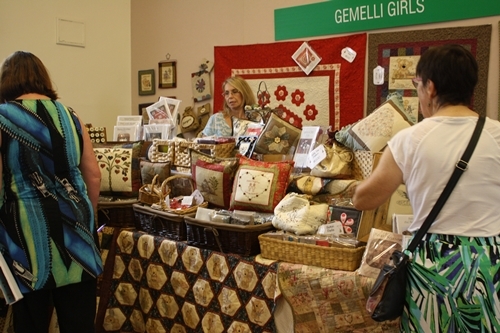 You will get an idea of the range of their products by checking out the photos below, or using the link to the Gemeilli Girls to read about their on-line shop. 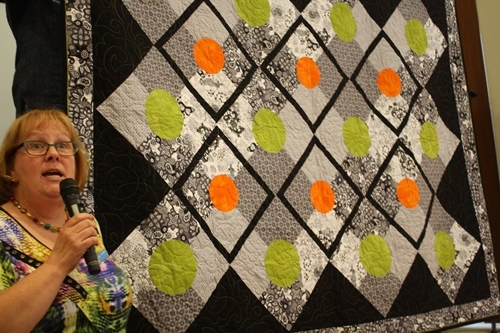 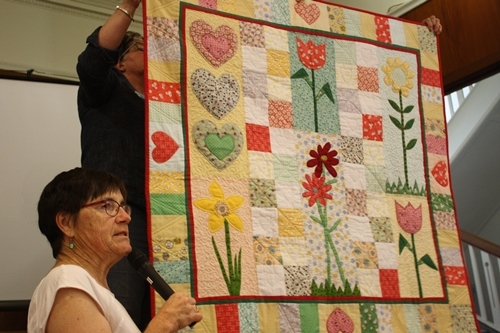 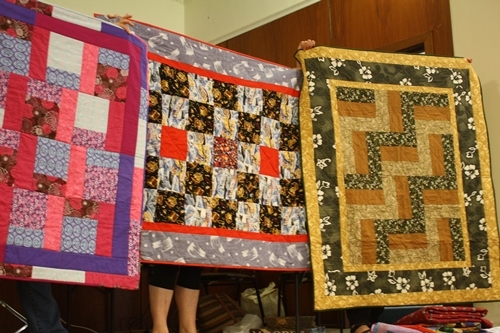 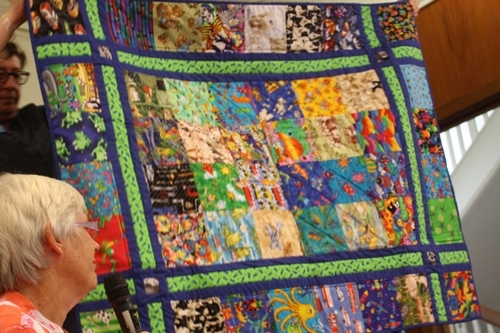 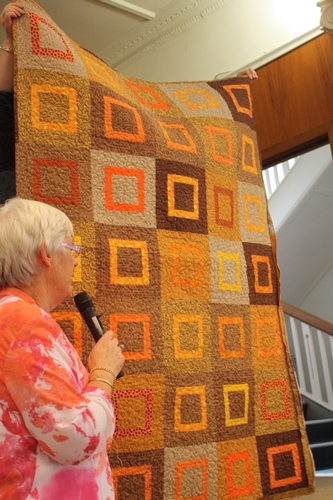 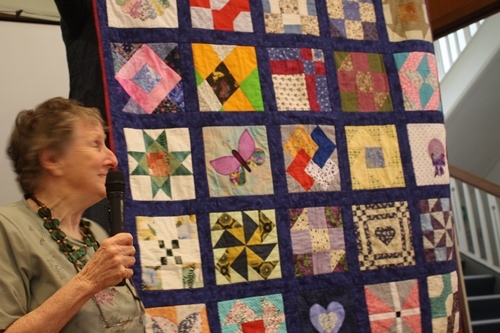 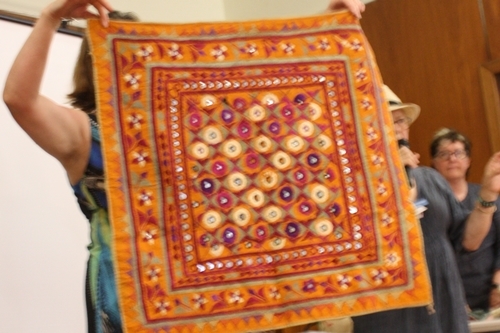 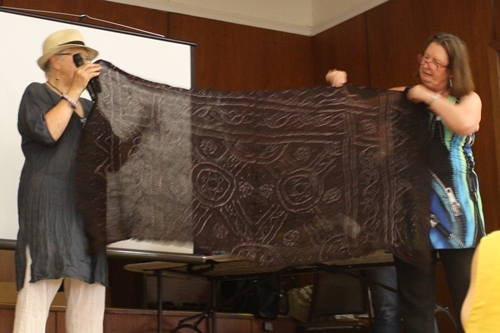 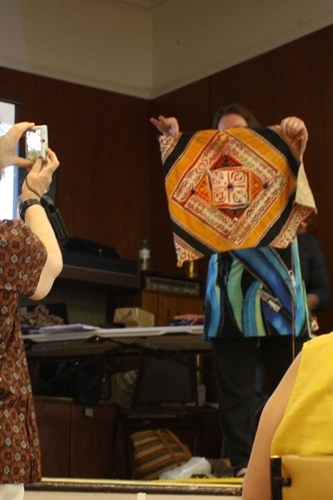 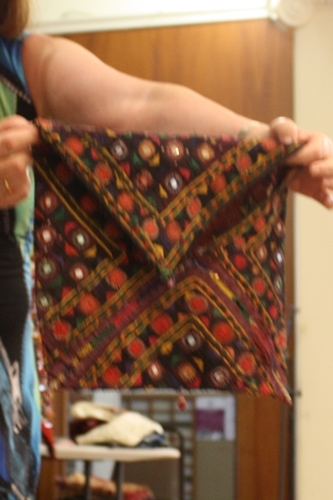 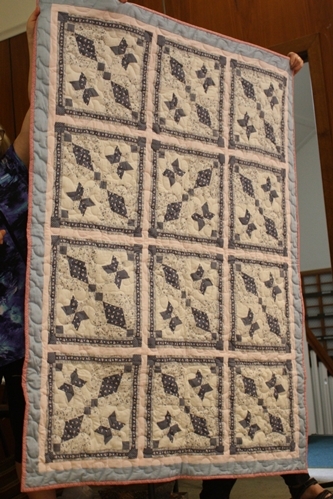 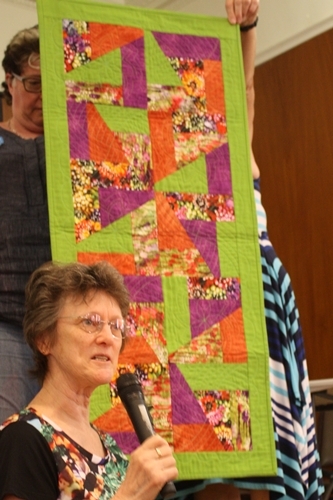 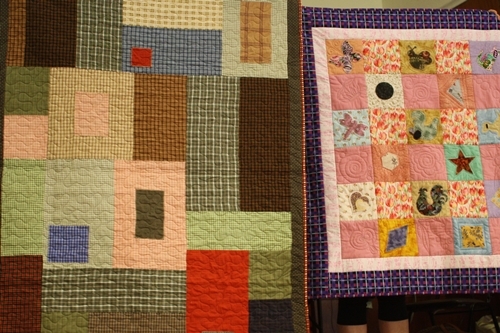 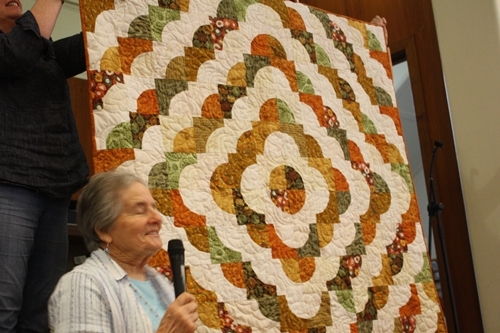 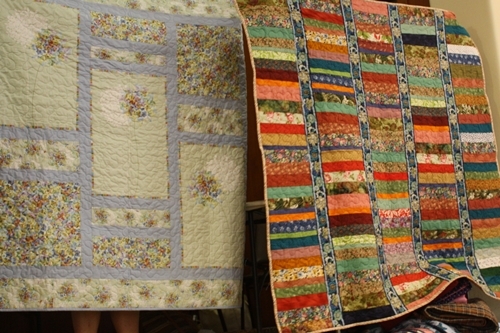 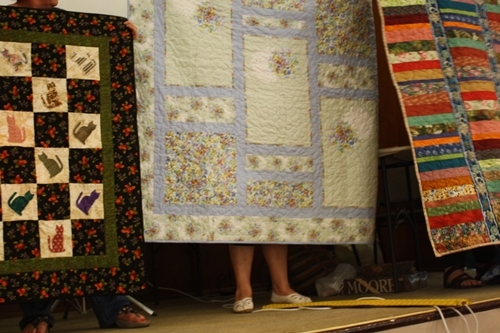 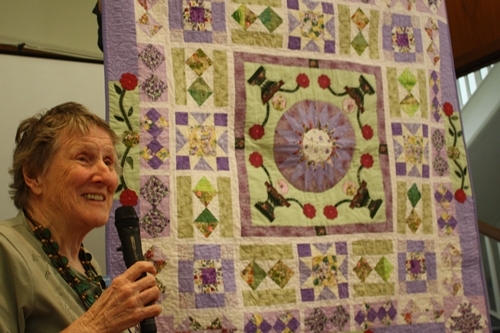 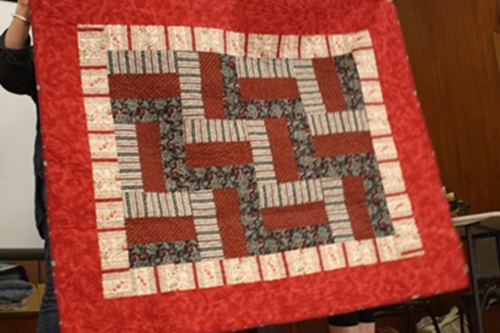 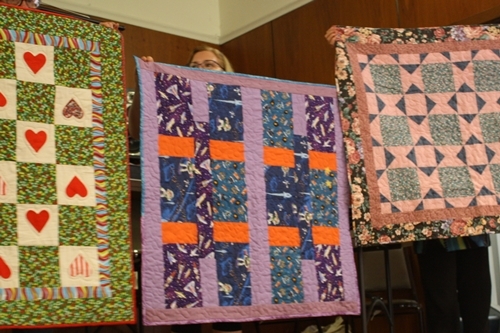 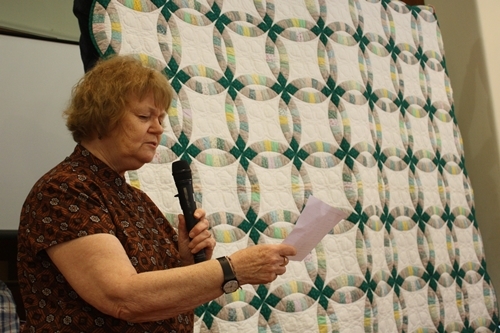 Fran Cox shared her knowledge of bindings and demonstrated a variety of possibilities and tips to improve our attention to detail when we next bind a quilt. 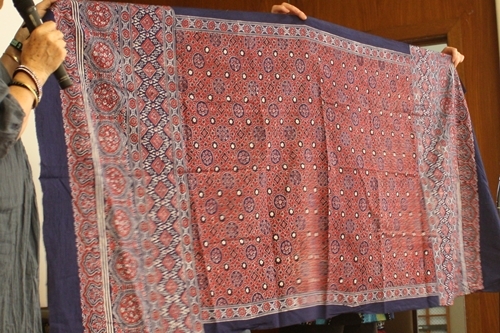 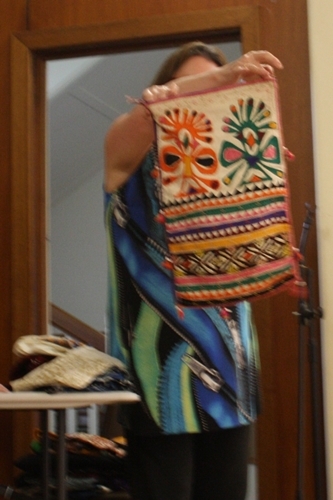 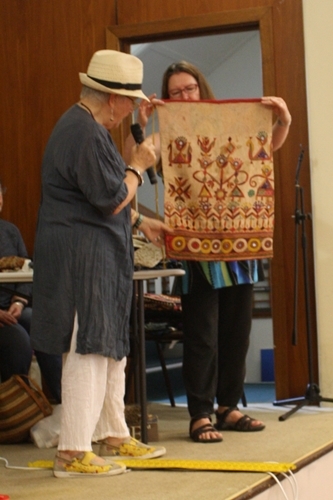 Thank you Fran for your most interesting and helpful demonstration..
Fran Batrouney displayed some of the treasures found on her recent trip to India and Japan. 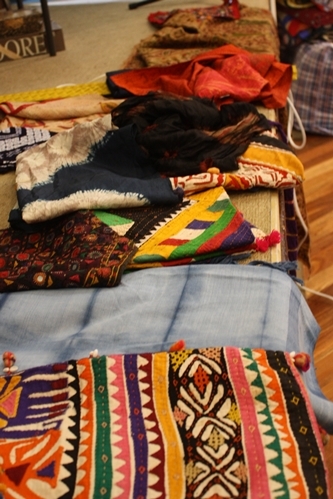 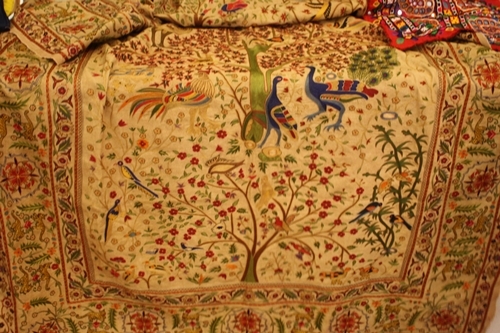 It was a pleasure to see the range of items and the amazing jewel colours used in many of the items. 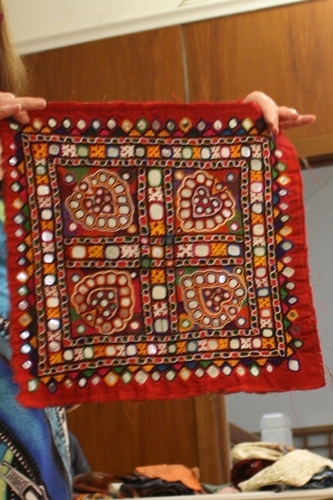 Some of the finds Fran shared with us can be seen below.